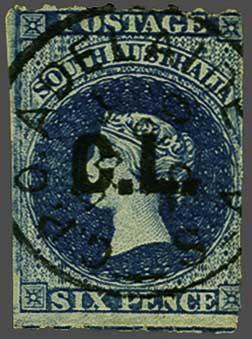 Crown Lands 1869/74: Overprinted "C.L." in black, on 6 d. Prussian blue, wmk. 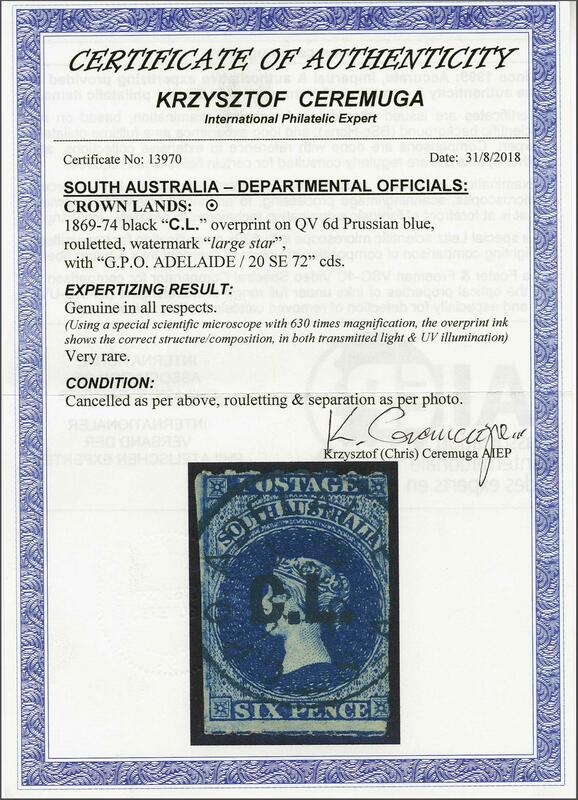 Large Star, rouletted, a used example of strong colour, cancelled by 'G.P.O. / Adelaide' cds (Sept 20, 1872) in black. Butler 4R. Cert. Ceremuga (2018).rnrnProvenance: Collection Col. H. Napier, RL, Basel, 26 Sept 1979, lot 1559.